This festive season is the best time of year to serve family favourites as well as try exciting new recipes. This recipe does both. Macadamia nuts, sweet sticky caramel and silky brioche combine for a luscious breakfast pudding just perfect for Christmas morning...or anytime really. I grew up with bread & butter pudding on the menu. Traditionally made with stale bread, sultanas, spices and an eggy-cream mixture which was poured over the top before being baked in the oven. Sometimes, Mum or Nan would spread each piece of bread with a thin smear of apricot or strawberry jam on the bread after it had been buttered. I loved it. I also have a great love for all things praline. So with this recipe, I have combined the two - I've also removed the fruit and the jam and substituted a whole lot of nutty caramel goodness. This recipe calls for quite a few eggs and of course I chose to use McLean’s Run Open & Free Range eggs as they are simply the best on the market at the moment. I first used these delicious eggs when I made my feta, basil and sun-dried tomato quiches. The hens at McLean's Run farms have about 13 times more space than other free range farms. You've got to love that! Ethical practices are an important factor for Pete & I when we do our food shopping and we have always bought free range eggs. 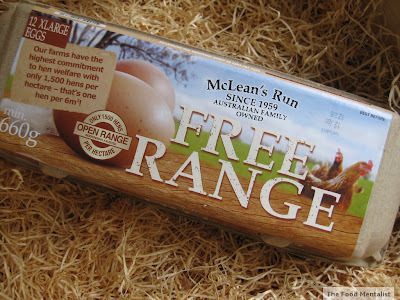 Now, we will purchase McLean's Run open & free range eggs with the confidence that these eggs come from a farm where animal welfare is paramount. Happy Hens = Happy us! What’s great about this recipe is that you do all the preparation the day before and then all you have to do is pop it into the oven in the morning. Voila! 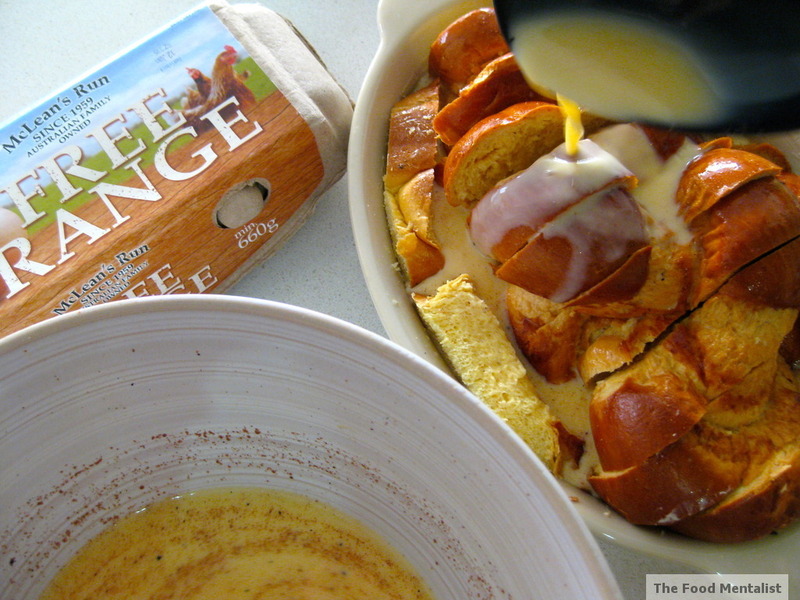 Slice brioche loaf into 1 inch thick slices and arrange in a buttered pudding dish large enough to fit the sliced loaf. 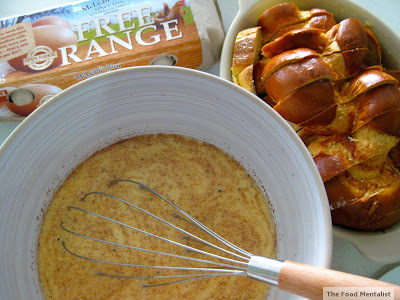 In a large mixing bowl combine the eggs, cream, milk, sugar ,vanilla, cinnamon,nutmeg and salt and whisk until blended. You can use a hand-held beater if you like but just make sure you don’t over beat it - you don’t want it to become frothy. Next, pour or spoon the eggy mixture over the bread making sure you spoon some in between each piece of bread. 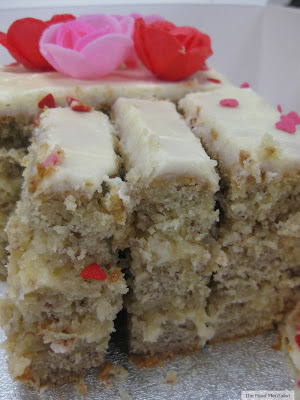 Cover with foil and place in the fridge overnight. Next, combine all of the praline ingredients in a small bowl. 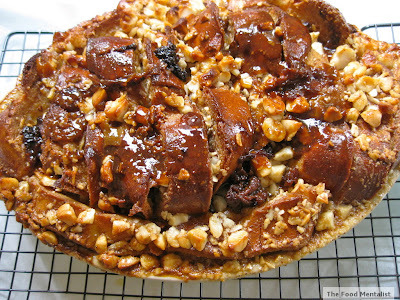 Cover and refrigerate overnight until required. 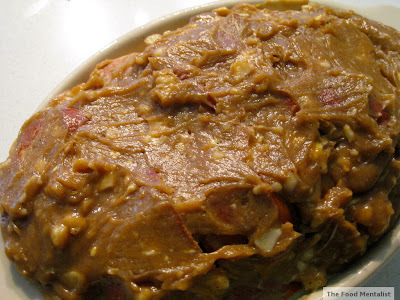 Spread praline mixture over the top of the bread and bake for about 40-45 minutes until golden & delicious. At this point don’t be surprised if you have random strangers knocking on your door as the delicious sweet nutty caramel aroma wafts out of your kitchen. 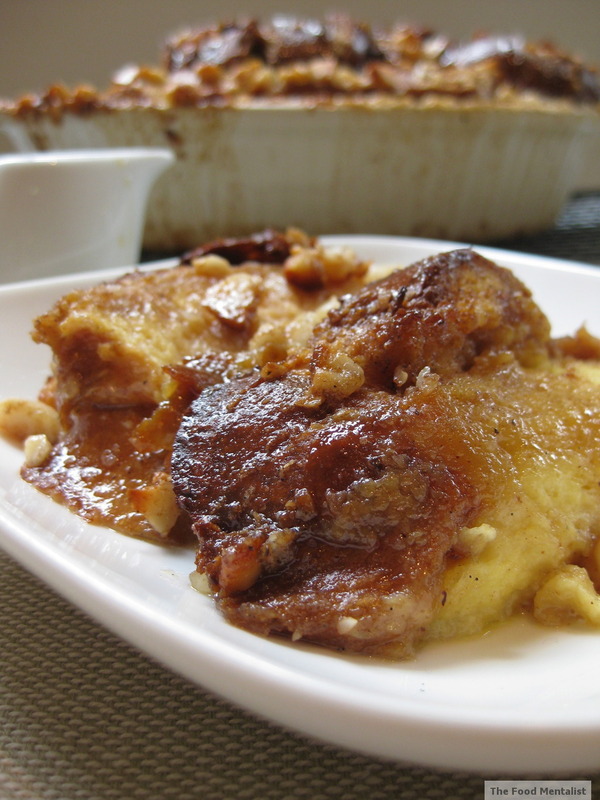 The result: a delectable sweet breakfast pudding which will be sure to impress your family and friends during this festive season. Serve with a drizzle of maple syrup. Yum. * Brioche can be purchased at Coles supermarkets in Australia and some delicatessens. 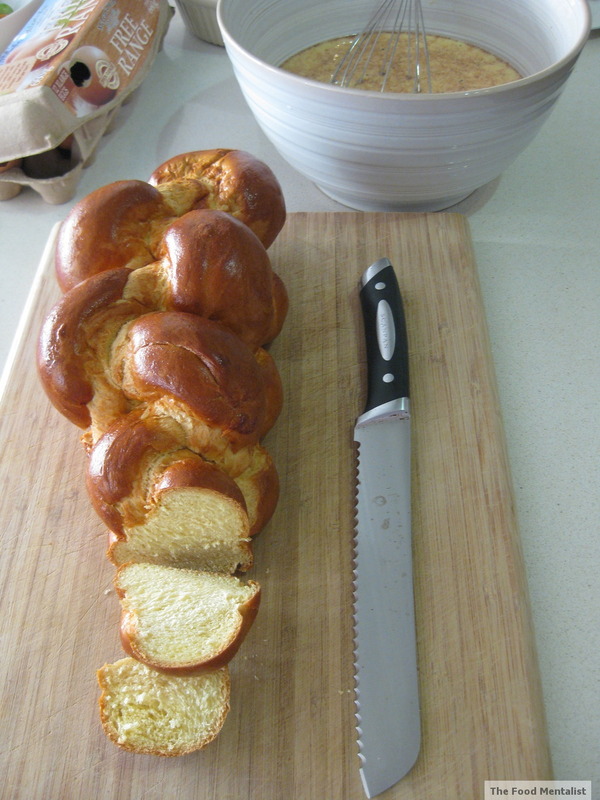 If you cannot find a loaf of brioche - you can substitute it for any other sweet bread or plain white. 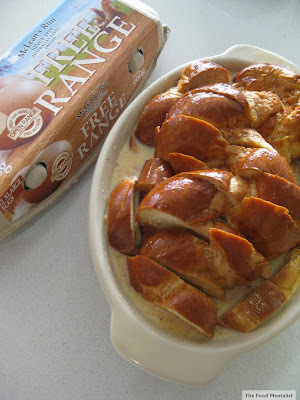 I've never had bread and butter pudding before, looks very interesting. Merry Christmas!